While a quasi-sharav continues to confound the regular rains and chills of Kislev; while Jewish families get ready for the annual Hanukkah rigmarole; while Israel, like the rest of the world, is dealing with the dreaded WikiLeaks report; the dream of peace is as far away as ever. Furthermore, PA President, Mahmoud Abbas, told the council he will not resume peace negotiations with Israel until there is a halt on building settlements. Meanwhile, Hamas security forces arrested four Fatah party supporters, Sunday in the Gaza Strip. The detainees were identified as Adel An-Naji, Ra’fat Shahin, Sami Abu Samra, and Rizq Abu Al-Kas. On Sunday, Shimon Peres met with German President Christian Wulff, who arrived on an official visit to the Middle East. Wulff said that he specially chose Israel as the first country to visit outside the European Union because the countries are bound by a special relationship, and Germany remains the guarantor of the existence and security of Israel. 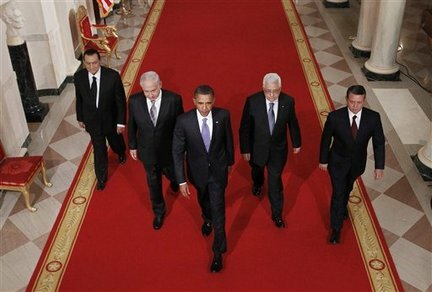 The two presidents called for pressing forward with the Middle East peace process. The German president added that the Israeli government should “adopt a constructive attitude” to the issue of Jewish settlements in Judea and Samaria. Also on Sunday, WikiLeaks started publishing about 2.8 million secret American documents, representing for the most part, the Foreign Office correspondence with U.S. embassies, including the American Embassy in Tel Aviv. 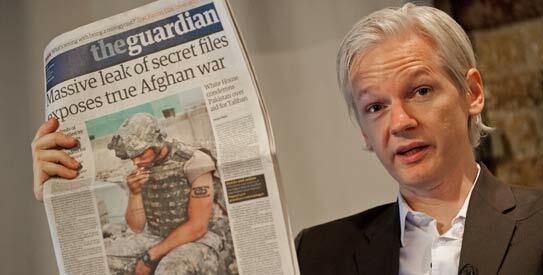 The documents have already been released, in private, to the New York Times, Der Spiegel and the British Guardian. Obama: I want to begin the summit by insisting to my Jewish and Muslim friends that these proceedings, leading where they will, are not just a shallow photo opportunity for this Nobel prize winning Pres! Obama: Sebaba! Let’s get this baby moving. The President of Cool has some disco lessons with his wife! Ya dig? Netanyahu: Swing her up down and all around President of Cool! Hahaha! Obama: Peace my brothers. Welcome to Washington D.C.. Anybody up for some fresh Maryland crab cakes? Netanyahu: Yeah, I’ll try one of those bad boys. Obama: I was kidding Benjamin. Now, down to brass tacks my brothers. Let’s start with Israel. Bibi, what say you? demands…so long as they do not compromise Jewish statehood. Obama: (lights a cigarette) We are glad to hear that. Hillary and I have been praying to hear that Israel is ready to talk peace. How about Mahmoud – the quiet kid in the corner. What say you? Abbas: The conflict has got to end. And that has to start with ending the occupation. It is one thing to set and honor a building freeze – but what we really need is to get the settlers out of the West Bank, for good. Look, even your own artists won’t perform at that new theatre in Ariel. You are wrong. Just plain wrong. If Israel returns to her pre-1967 borders, that also means there can be no settlers. Netanyahu: No settlers? Settle down Mahmoud! This is very holy land for the Jews. We tell them that they can build and then two years later we change our minds? This does not look good. 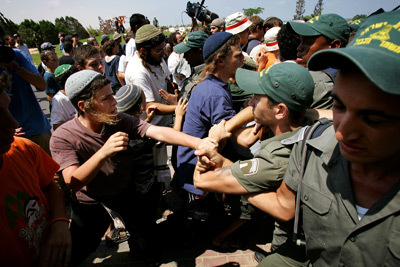 You all saw what happened in Gush Katif. There will be riots! Obama: The only way to appease all parties is to make sacrifices. No solution without a return to Israel’s pre-1967 borders. 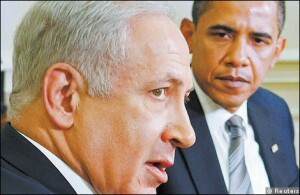 Netanyahu: Very well, Barack. But I think that both you and Mahmoud are overlooking the danger which Hamas poses. They have already made their way into the West Bank and are terrorizing my citizens. What will they do to the Islamic citizens living under the PA? Netanyahu: And not to mention the dangers posed by the Al Aqsa Martyrs Brigade, Islamic Jihad and the rest of the no-goodniks. You cannot make it seem like kicking the Jews out of Samaria will bring instant peace! Mahmoud: Perhaps a civil war is necessary! Netanyahu: If war is necessary than why should we appease the Palestinians who have no order among themselves! Less even than the Jews! Mahmoud: Because the outposts are illegal! Obama: That’s right. (puts his arm around Abbas and begins to rub his shoulder). Bibi, how about if I trade you arms for land? Netanyahu: The settlers, my colleagues, will castrate me! Obama: Bibi, how about arms and an additional $1 billion so you can build that spaceship you’ve been dreaming of! Netanyahu: Ooh lala! (his eyes begin to twinkle and his face grows a big dumb grin). All parties involved in the powwow are positive. Heck, they didn’t go all the way down to DC for the barbecue ribs. He was not talking about the education budget or the evaporating Dead Sea. He was also not talking about the bumper to bumper traffic during the morning commute between Highway 1 and Route 9 between Tel Aviv and Jerusalem. He then continued, failing to cite an actual objective. He was referring to the Oslo accords. Of course undermining Jewish nationhood would be disappointing for millions. Amid threats by the Palestinians to end the negotiation process if the Jewish Country refuses to renew the West Bank building moratorium upon its September 26 expiration, Avigdor Lieberman assured that this will not and cannot be the case. During a special Rosh Hashanah toast, he also recalled the ineffectual Oslo conference and the ensuing tragedy of the Second Intifada. Why would the result of an exit from the West Bank be any different than the result of the Jewish exit from Gaza? 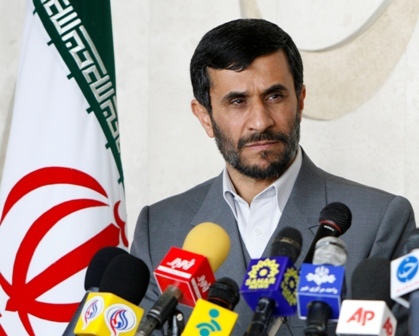 …the Palestinian leadership did not oppress its people as did the Iranian leadership under Ahmadinejad…. For those without a press pass or the time and patience to filter through every tidbit of information available to the public concerning the Middle East tango – you’ll at least want to follow the upcoming peace talks between Palestinian, Israeli and American politicians and think-tanks with a bit of a recent background scoop. A state in the Gaza Strip and the West Bank with East Jerusalem as the capital. 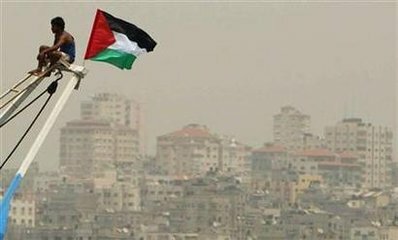 A poll was recently taken by the French press about the Palestinian population’s general consensus on the matter. 94% of Palestinians in Jerusalem, (both east and west) believe that the city should belong to a Palestinian state. 86% of Palestinians are in support of the use of violence to the creation of a state. (“the use of violence is essential for 36.7% of respondents; desirable for 18.7%, 16.8% acceptable, tolerable for 14.0%”). On the other hand, according to deduction, 13.7% of Palestinians are opposed to violence. Since the beginning of 2010, sixty roadblocks have been removed, leaving sixteen checkpoints remaining open. Road number 443 has opened for Palestinian traffic. There has been a 50% increase since 2009 of permits issued to enter Israel. In the beginning half of 2010, there has been a 15% increase for Palestinian patients receiving medical treatment in Israeli hospitals. 82,058 of these permits were issued and 14,675 of which were issued for children. There has been an 11% increase of the number of trade permits issued for entry to Israel. In the beginning half of 2010, 22,910 trade permits were issued, in comparison to 20,503 trade permits which were issued in the first half of 2009; and 500 additional permits were issued to merchants to enter Israel. There’s been a 78% increase in vehicle imports to the West Bank in the first half of 2010 in contrast to the first half of 2009. There was a 2.7% increase in the al-Quds stock market index for the first half of 2010, and this while unemployment decreased by 3% in the first quarter of the year. 3,000 housing units were built for a brand new Ramallah district city. 6 Palestinian Security Forces battalions and 150 civil defense personnel were coordinated for special training in Jordan. There have also been regular joint meetings between heads of the Palestinian Security Forces and the IDF Central Command. In addition to this, there have been joint Israeli and Palestinian police and firefighters’ meetings. President of Russia, Dmitry Medvedev has urged the United States to actively work to achieve peace in the Middle East – citing the “human tragedy in Gaza”. The comment apparently indicates Moscow’s willingness to become an active Middle East mediator. Are they wanted? Last week, during a visit to Syria, Medvedev said that the Israeli-Arab tension threatens to draw the Middle East into a “new catastrophe”. 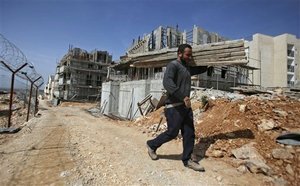 Bibi, despite insider allegations of the contrary, claims that he does not “intend to halt construction of Jewish housing in east Jerusalem”. 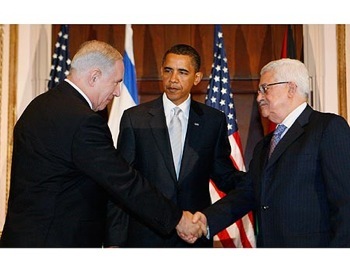 The Palestinians, of course, accuse the Jewish Country of undermining trust and urge Obama, who supports establishing an independent Palestinian state alongside Israel, to intervene. 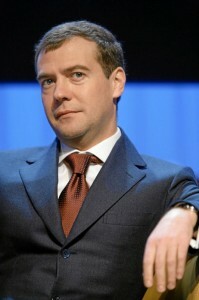 Medvedev claims that no one should be excluded from the peace process, clearly referencing Khaled Mashaal, the exiled leader of Hamas – shunned as a terrorist organization by the U.S. and European Union nations – and rightly so. Medvedev did urge Mashaal to free Gilad Shalit, according to Kremlin spokeswoman, Natalia Timakova, according to the RIA Novosti news agency. At the meeting in Damascus with Syrian counterpart, Bashar Assad, the two presidents agreed on the affirmation of Iran’s right to develop a nuclear energy program. Both Israeli PM Bibi Netanyahu and his foreign minister, Avigdor Lieberman, are not wasting any time in indicating how they will deal with issues regarding Israeli domestic and foreign policies. An earlier post dealt with Lieberman’s speech on how he intends to helm his position, much to the chagrin of many world leaders, including those of both Egypt and Jordan, the only two Arab countries who have diplomatic relations with Israel. In response to the European Union’s threat to suspend Israel’s upgrade in relations with the EU, Netanyahu’s curt response was “don’t set conditions for us!”. Nothing more bottom line than that, it appears. The Europeans, and most likely the Americans as well, are not very happy about the new Israeli government, and its apparent right-of-center foreign policy direction. In contrast from the previous government, led by the Kadima Party, and it’s now former and disgraced leader Ehud Olmert, the new political realties emanating from Jerusalem appear to be along the lines of “don’t xxxx with us!” Netanyahu added to his previous noted remark by saying “we (the government) are in the process of reviewing our policies -don’t rush us”. All of this comes on the heels of the recent fiasco of the Conference Against Racism in Switzerland, the outcome of which we noted earlier. 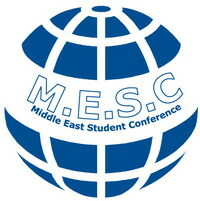 In light of this, and the upcoming Durban II conference, which will most likely be similar to the previous one (in which Israel was truncated by most of the delegates, causing the Israeli delegation to “exit, stage right”), both Mr. Lieberman and Netanyahu have decided on an entirely different course in which to steer the Israeli Ship of State. is no longer a negotiating factor in the new government. According to Lieberman, although the PA does not have to recognize Israel as a “Jewish State” the radical Islamic Hamas organization “must be suffocated”. “Don’t even mention the ‘right of return’ ” Lieberman was quoted as saying in regards to Palestinians being able to return to and settle within Israel proper. Both Netanyahu and Lieberman want the members of the EU to “stop speaking in slogans” in reference to reaching a solution with the Palestinians; and in regards to other policies affecting Israel and its relations with other countries, including Iran. Ironically, Lieberman has been invited to visit Egypt, which was conveyed during a just concluded visit by Egyptian intelligence chief Omer Suleiman. What reception Lieberman is likely to get in Cairo or some other location (such as Sharem al Sheikh) remains to be seen. 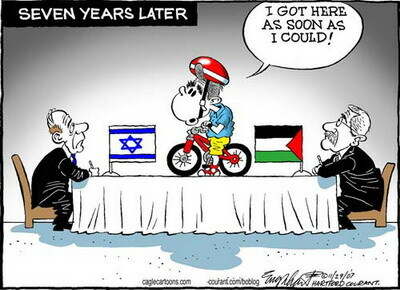 But in any respect, countries like Egypt may even respect the new political reality now in place in Israel, as at least it is more predictable than the “poochy moochy” one espoused by Olmert. In any respect, it’s now a whole new political ball game.